Often, a carded sample would just be used with whatever card was laying around. This particular sample is for a figure that was never released in Power of the Force packaging. 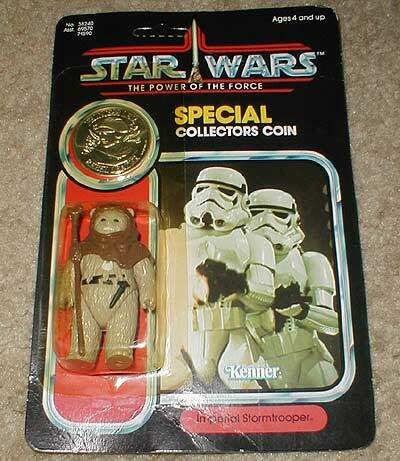 Interestingly, although a mail-away Chief Chirpa coin did exist, they used a Princess Leia (Endor) coin.